I’m a huge fan of DFO Brisbane. I love the polished concrete floors and the exposed ceilings. Despite its ‘inelegance’ compared to traditional shopping malls, the ‘industrial’ look is now the modern look. And shopping centres around Australia have been ripping out their rooves to go the trendy look of exposed AC ducts, wiring and piping. Now merchandise, shelves and counters just get covered in dust. As the tenants at DFO could have told you years ago. Coles will release a new series of collectables to entice kids to eat more fruit and vegetables. Brace yourselves, parents — because Australia’s latest collectables craze is just days away. So many thoughts enter my mind regarding the collectable fruit and vegetables. Imagine how small the plastic blueberries will be. I hope they do kumquats. They are the most underrated fruit. Will the strawberries have little plastic razor blades? I assume the rockmelons will not have miniature cases of listeria. Why wouldn’t those collectable things be considered to be a choking hazard for small children? they are trying to get council approval for a cinema to be built, but even if they do i don’t think it will go ahead as mt ommaney (only 2.5km down the road) has council approval to do the same. Yeah, I’ve never been out there and never understood the attraction… Skygate seems a perfect location for a DFO (especially for the higher-end brands)… Brisbane probably can’t support two DFOs unless there’s something distinctly different between the two. I always thought a little boutique cinema could make a go of it at Skygate (layover travellers and even local families wanting a shopping/mini golf/food/cinema day). Has anyone else tried Aldi’s Halloumi Fries? 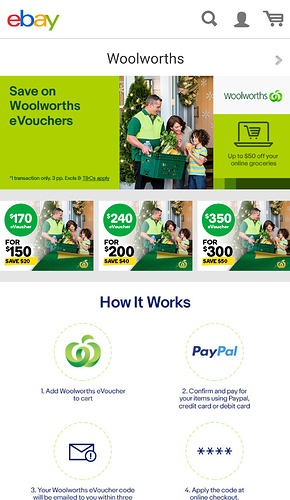 Seven reports today that Coles and eBay are launching a world-first online venture which offer discounts to shoppers. Just like eBay already sell discount vouchers for Woolworths, I wonder, or is this different? It’s available in selected areas of metro Sydney, Melbourne and Brisbane. Pretty deep discounts, but that’s par for the course for eBay recently in its attempt to keep people coming back, especially since Amazon has operated locally. One thing about Self Serve Checkout Staff is some of them for example say Goodbye to you when you leave the self serve checkouts yet others when you walk past just stare straight ahead even if you say bye to them. So ethier they make out their deaf, or they are just unfriendly. So either they make out their deaf, or they are just unfriendly. Or have lost the will to live, having a job that is absolutely not challenging in any way. It seems Sanity’s last Remaining Geelong Store Out At Waurn Ponds Store has closed Down due to Streaming Platforms and Online Buys of Music, The Music Store is becoming the New Video Store, Closing Everywhere. I’d say it’s more likely to be because of JB HiFi, as they have a store there too. Whenever JB open in a new location, Sanity often close. Most locations that have still have a Sanity don’t have a JB. The Sanity at Tuggeranong in Canberra is small, sad and deserted, whereas the JB Hi-Fi always has customers. The independent Songland shop at Weston Creek, which specialises in classical, jazz, folk etc, and has an increasing range of LPs, always has a steady stream of buyers too. 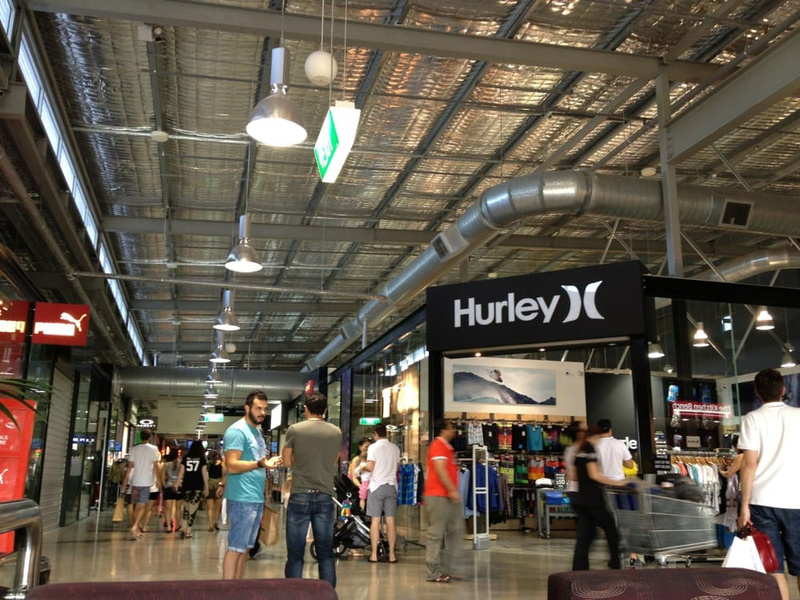 The Sanity at Tuggeranong in Canberra is small, sad and deserted, whereas the JB Hi-Fi always has customers. Although the CD and DVD sections looking like a ghost town these days. The independent Songland shop at Weston Creek, which specialises in classical, jazz, folk etc, and has an increasing range of LPs, always has a steady stream of buyers too. Remembering this person’s taste in classical/jazz music and a general interest in LPs during their 2XX radio presenting days, I wonder how often a particular Canberra Times reporter visits Songland Records!